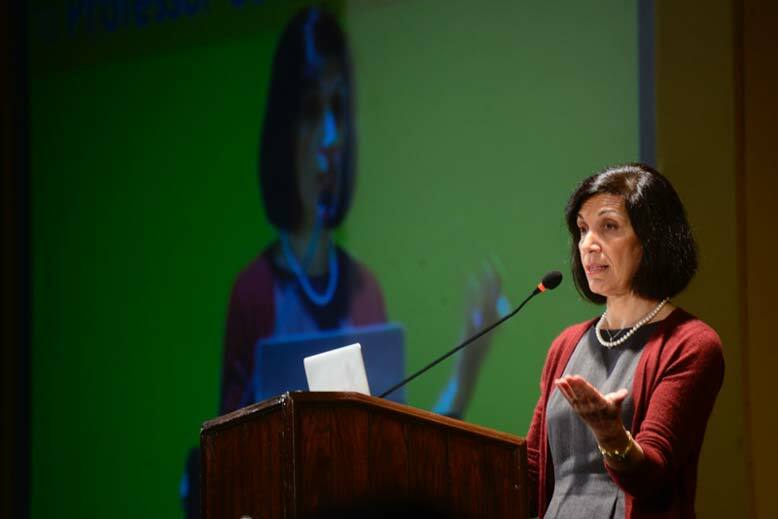 World-renowned physician and neuroscientist Dr. Huda Zoghbi recently toured India as part of the 2014 Cell Press-TNQ India Distinguished Lectureship Series. Speaking in Bangalore, Chennai and New Dehli, She presented her research on the genetic and molecular mechanisms of neurological diseases, highlighting the important interface between basic research and clinical applications to improve human health. In her lecture titled "A Journey from the Clinic to the Laboratory to Understand Brain Disorders," Dr. Zoghbi discussed how the bridge between clinical medicine and basic research has helped deepen our understanding of disorders such as autism, intellectual disability and Parkinson's disease. She presented to packed auditoriums and patiently responded to questions from scientists, doctors, educators, nurses and audience members with relatives afflicted with neurological disorders. 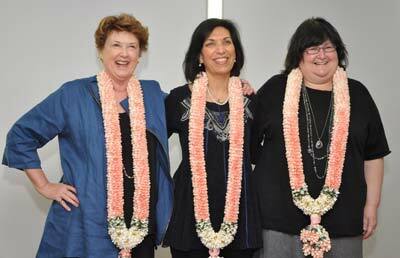 Founded in 2008, the lecture series came from the vision of Mariam Ram, Managing Director of TNQ Books and Journals, whose passion for science and inspiring young Indian researchers was the driving force behind this joint effort. She contacted Elsevier's Cell Press and found an equally passionate partner in Lynne Herndon, former President and CEO of Cell Press. Together they plotted a course to bring a leading international scientist to India for a week to give lectures in multiple cities, meet with students and faculty from Indian universities and research institutions, and meet with ministers to discuss issues related to public policy for research. Ram and her colleagues at TNQ handled all the logistics and accommodations and provided financial support, while Cell Press was charged with identifying an appropriate speaker. Each year, Dr. Emilie Marcus, CEO of of Cell Press and Editor of the journal Cell, has selected the speaker, joining them in India as their scientific host. When making her selection, Dr. Marcus looks for someone who has a proven track record of seminal contributions in biomedical science while also being active in a cutting-edge research program. Additionally, these speakers must be committed to mentoring and inspiring young scientists on a global scale and communicating research to the general public. Past featured speakers have included Dr. David Baltimore, Dr, Elizabeth Blackburn, and Dr. Shinya Yamanaka – all Nobel laureates. In this case, Cell Press and TNQ were able bring Dr. Zoghbi's important research on neurogenetics to audiences around India. "Huda's impressive body of work has shed light on many complex disorders of the brain," Dr. Marcus said. Dr. Zoghbi has received numerous accolades, including the 2013 Pearl Meister Greengard Prize, the 2013 Dickson Prize in Medicine, and the 2011 Gruber Prize in Neuroscience. She is a member of the National Academy of Sciences and the Institute of Medicine and a trustee at the American University of Beirut. Dr. Zoghbi is currently Professor of Pediatrics, Neurology, Molecular and Human Genetics, and Neuroscience at the Baylor College of Medicine; Director of the Jan and Dan Duncan Neurological Research Institute; and a Howard Hughes Medical Institute investigator. 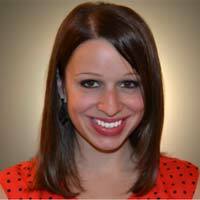 I just wanted to thank you because those lectures had a profound impact on me! It really opened my eyes as to what research really is how wonderful and vast the field of genetics and neuroscience is. … I don't come from a medical or research background, and am going to be the first doctor in my family and your lectures really gave me good exposure! Now whatever I study, I will study in depth, and I want to correlate clinical findings which I see in the hospital with research, whatever field of medicine I enter … You will forever be a source of inspiration for me, and the best example that perseverance, determination and I think most importantly patience will lead to outstanding work and results! 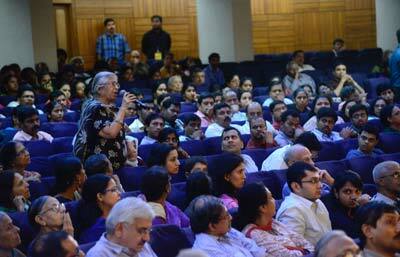 This is the essence of Mariam Ram's vision and what the lecture series is all about. It is also an example of the mission of Cell Press, Elsevier and TNQ to educate and motivate early-career researchers. They are already planning for next year's series. 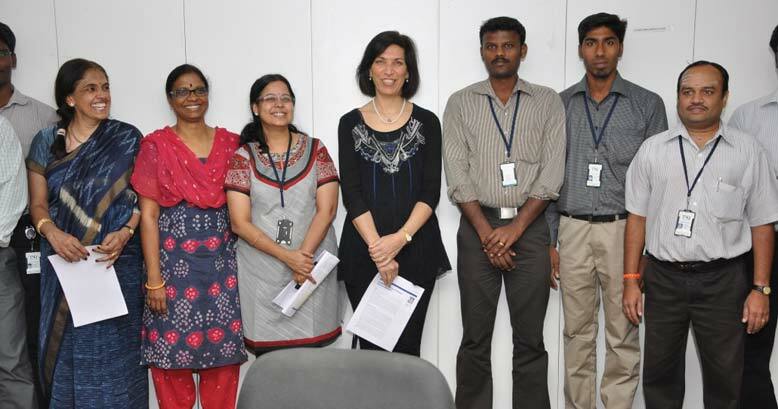 Read more about TNQ Books and Journals and Dr. Huda Zoghbi and the Cell Press-TNQ India Distinguished Lectureship Series.